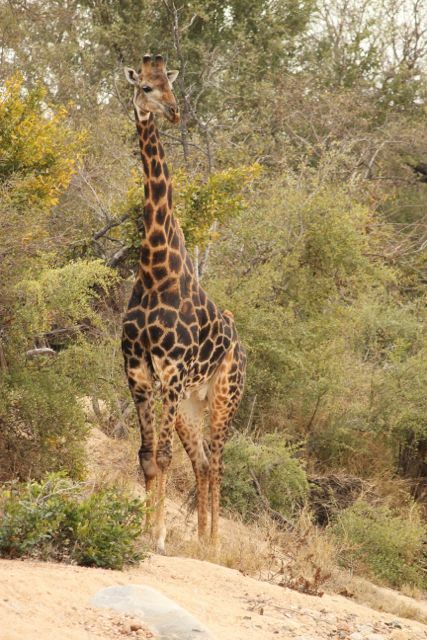 Life here in the African bush has a regular cadence. A rhythm of peaceful relaxation and calm introspection, driven by the light of the day and the distance from everything. There is no urgency, no plan of action. We climb into the Land Rover, all open to the wild and trek around the park, peering through the grey and yellow and brown landscape in search of animals so well suited to hiding. 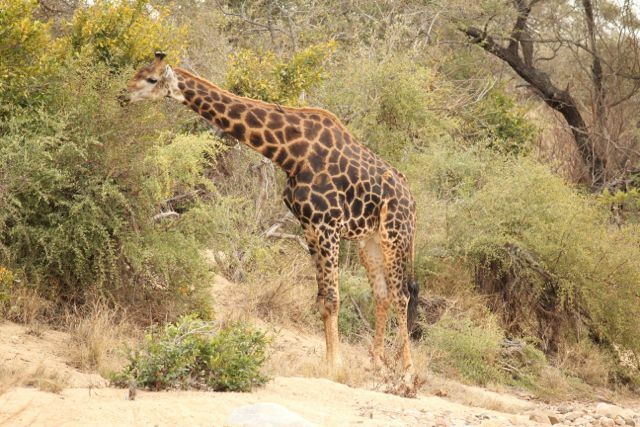 It is strange how the animals, all so different – with grey elephants and black and white zebra and tall speckled giraffes – all blend in so well to the bush. It makes the task to spotting them that much more difficult. I image we hurtle past lion and rhino without seeing them, rocks and stones in the distant grass. 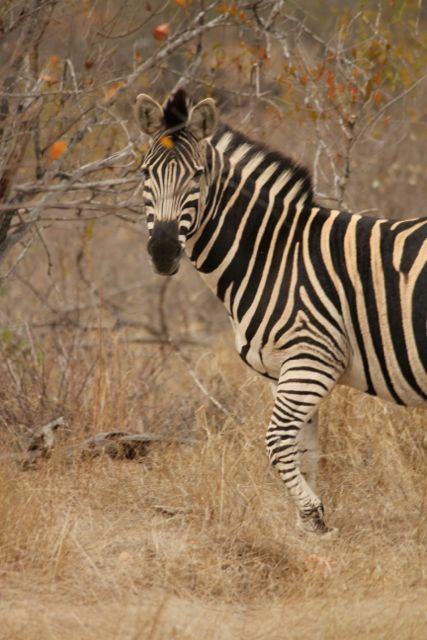 Today we saw zebra though, gorgeous, hanging out with the impala. 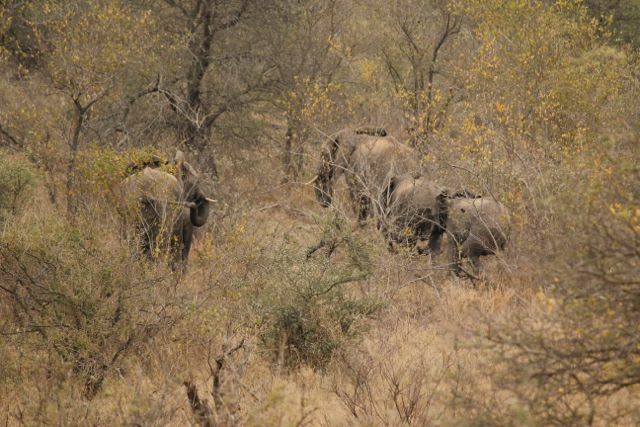 In the distance we watched a large herd of elephants carefully shepherd their babies into the Kruger. 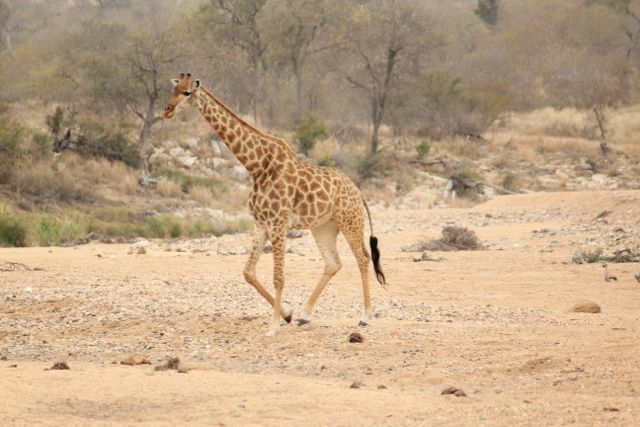 We caught sight of giraffe, although not as close as yesterday where we saw them in the riverbed, up close and personal. There is rhino about and leopard, apparently, although we are still to sight them. I am holding onto hope! A leopard in a tree, that is the holy grail of spotting at Ingwe. Another joyful aspect to being out here, away from electricity and light and noise is the stars. Last night the moon was late to rise and the sky was clear and we drove into the middle of the bush and turned off the lights and lay on the top of the landy and stared and stared at the stars. The milky way spilling across the deep black night. We could point out the Southern Cross and Orion’s Belt and that very, very bright star (is it Alpha Centuria, perhaps?) to our children, but after that our limited knowledge of astronomy ran out. There were a million more stars to see, if only we knew their names, bright and clear in the dead quiet dark of the bush. Sometimes people say staring at the stars makes them feel insignificant. I don’t feel like that. It feels to me like we are part of some magnificent wonder, some incredible creation of indescribable beauty. A tiny part of some tremendous whole and I find it deeply refreshing right in the heart of me.